The teaser website Spartans Stand Tall has finally revealed the new God of War game. In a similar fashion to God of War 2 where they had a teaser website for the PSP God of War, it has happened again. Since God of War 3 is still new, I will avoid to avoid these spoilers as I discuss the new game (set before the events in God of War 3). 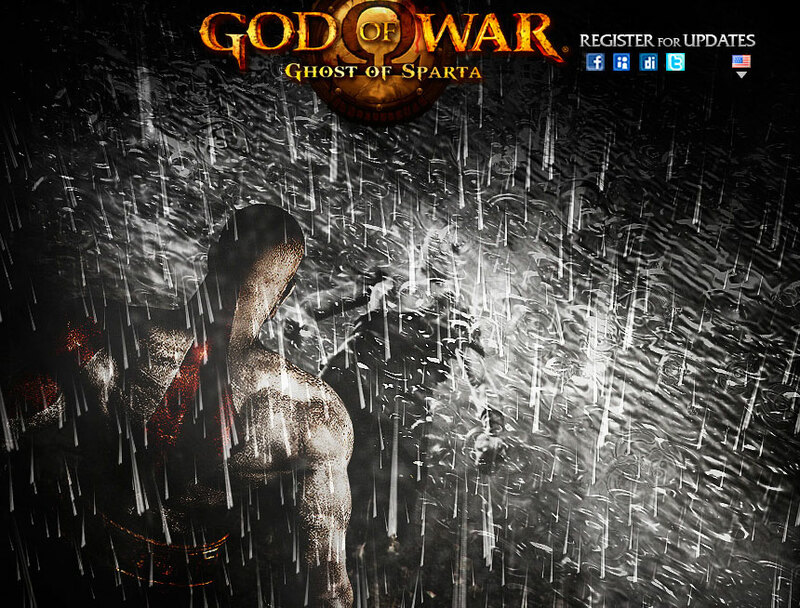 The background behind the Spartans Stand Tall website is the URL is shown when you get the platinum trophy for God of War 3. The website showed rain and flashes of lighting and it wasn't until today they actually named the game. God of War: Ghost of Sparta will feature Kratos busting heads right after the conclusion of the second game. 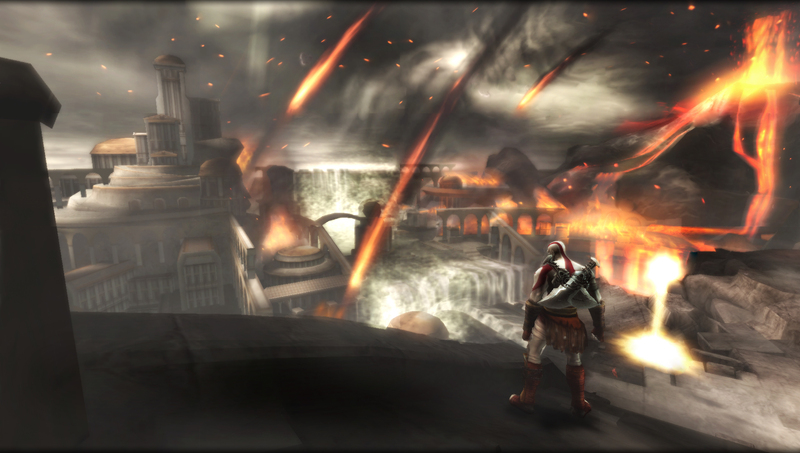 It's pretty certain Kratos is going to murder a few more hoards of mythical monsters, beasts and probably civilians. Based on information unexplained in God of War 3, there is a 99.5% chance Kratos is going to visit Atlantis at some point in the game. The developers has almost fully completed their version of Atlantis to be used in God of War 2 before they changed direction. Be on the lookout for random islands and sea gods. This PSP game is being developed by the same studio which created God of War: Chains of Olympus. The US Playstation God of War post says Ready at Dawn Studios is once again developing a Kratos game with promises of more gameplay, graphics and overall content. Images are taken from their official Flickr page and I have to assume are actual screenshots even if they look almost better than PS2 graphics. Kratos' quest in Ghost of Sparta will be to face his past (like he always has) while gaining more power (like he always has). The Playstation blog post says the goal is to prove himself to the gods (Kratos needs to stop doing this) and the game will "reveal the origins of lost worlds and finally answer long-awaited questions about Kratos’ tattoo, scar, and family." Yeah….well he had the tattoos in God of War 1's flashback when he was a commander of the Spartian army. Thus I think they are just for decoration. As for the scar, I'm not sure what they are talking about besides the scar from being stabbed with the Blade of Olympus in the 2nd game. I'm guessing he has some sort of eye scar. Maybe Kratos has a Lenidos moment where he gets a blade barely missing his eye. The scar really isn't a draw for me. There really are no long awaited questions about Krato's family. His wife tamed him, his daughter maybe kept him sane. Here's hoping the wife is also a Spartan warrior who used to fight in Krato's army. I for one welcome our Spartan brothers and more time with Kratos is never a bad thing. They better have a message saying "Kratos has allowed himself to save" when the user goes to save their game. This was sorely lacking in the 3rd game and must be there to show Kratos is in control. If Zeus or Gaia is allowing him to save, then how can he really be a god? I'll end this post with a video analysis from Newgrounds posted on YoutTube. Educate yourself about the lyrics of God of War 2 in preparation to "finish the fight". 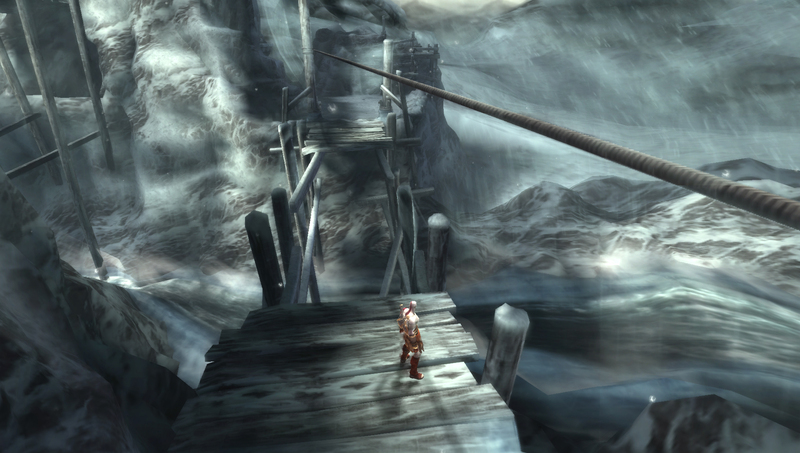 I do agree that there really isn't much to explain about Kratos after the trilogy. He's a complete antisocial maniac, plain & simple. The only thing that is interesting is whatever's revealed about his family. I don't think the revelations concerning them would be too shocking, though. It is good that it is announced.